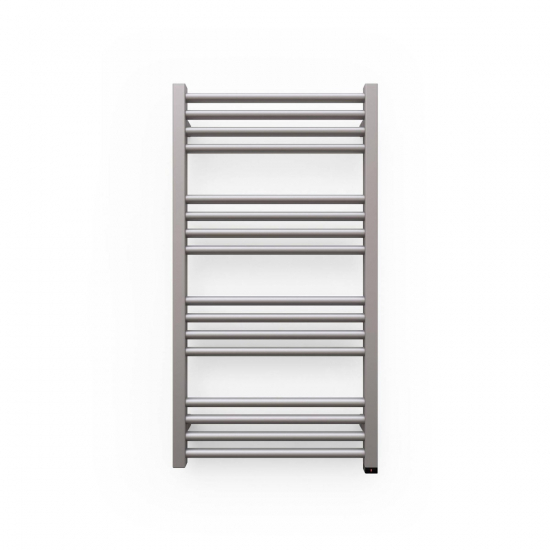 The 400w, 480 x 900mm Terma Fiona ONE designer electric towel rail offers a controllable and stylish heating solution for bathrooms, washrooms, kitchens, and en-suites. Using its innovative ONE heating element, push the base to select a heat level or use the timer function - it's that simple. Styled with a contemporary sparkling gravel finish, the Fiona a must-have luxury for your home. Download or view the Fiona 480 x 900mm assembly instructions & technical drawing here. Simple, elegant and refined, the Fiona by Terma exudes an aura of luxury wherever it’s installed. This 400w version is ideal for smaller bathrooms: a must-have heating solution for intimate en-suites.